On Thursday, April 4th Lincoln Summer Camp will hold two question, answer and information sessions. The first will be at 6:30 pm on Youtube Live. During this sessions we invite middle school parents and campers to join us to chat with our Director and Assistant Director of Middle School Programs. We will preview some of the exciting new programs and trips we have in store for this year as well as answer any questions. Next at 7:00 pm parents of all campers are invited to join us on Facebook Live to chat with our camp directors, pool director, and some of our activity specialists to hear about some of our plans for summer 2019 and how our programs differ for our different age groups. We will answer questions live too! Today is the big day! Registration for Summer 2019 begins. We encourage you to register early to secure your spots – and don’t worry if your plans change you can always switch weeks later at no charge. Week 6 is done, but there was so much Circus Fun! Week 6 capped off another amazing summer for us here at LSC. We had so much fun getting to know, play and laugh with all of your campers, and during week 6 we took them under the big top for a week of circus fun! We had a fun and exciting final week in STEM. All groups made bottle rockets and we were able to launch them in the Outback! Inside of our rockets we put baking soda and vinegar, which created a chemical reaction and built up pressure inside of the bottle, which caused the rocket to launch! All groups also built towers and structures using different building supplies. We had plastic cups, wooden blocks, popsicle sticks, and clothespins to build with. Campers learned about physics and created structures that balanced and were stable. We had many creative designs! It was a great summer – we learned a lot while also having a lot of fun! This week in Sports & Games, camp ended the summer by going under the big top! Pioneers played Lion Tamer and Steal the Keys, two games which require extreme amounts of teamwork. Ramblers played handball and capture the flag, both being voted on to end their summer. Crusaders played a variety of circus games, as well as getting to play their choice of camp favorites: soccer, dodgeball and capture the flag. Thank you to everyone for an incredible experience in sports and games! This week in archery we did two different circus themed activities for camp goes under the big top. The first activity we did was pop balloons on the archery target. There were many different sizes and if they shot one, they got a star sticker! The second activity we did was a game where all of the campers started out as magicians in training. There were multiple magician hats on each target and some of the hats had bunnies underneath. If a magician in training shoots a hat, they become a real magician and get a star sticker! We had an awesome week at camp and hope to see you again next summer! This week in story we read multiple performance books for camp goes under the big top. The first book we read was “Moo Moo in a TuTu” by Tim Miller. For our activity we played freeze dance and musical chairs to show our dancing skills like Moo Moo in the story! The next book we read was “Olivia Saves the Circus” by Ian Falconer. For our activity we all became circus performers – we became tattooed campers with fun stickers, we pinned the nose on the clown while blindfolded, and we had a race to see which team could pop balloons by sitting on them the fastest. We had an amazing summer and can’t wait to see everyone next year! This week in Arts & Crafts, we went Under the Big Top. Pioneers, Ramblers, and Crusaders made Hollywood Walk of Fame Stars as well as props for the Variety Show. The trailblazers helped make Variety Show posters to decorate the auditorium! Overall, camp was an absolute blast 🙂 Wishing everyone a great rest of the summer and see you next year! Music and Drama this week was a fantastic storm of rehearsals for our variety show. Every group, from the Trailblazers down to the Pioneers, worked tirelessly to rehearse for their time on the stage. From dancing to “Can’t Touch This” to creating a new Ramblers camp song, the campers gave excellent effort. Everyone, including the counselors and directors, were buzzing with excitement. Their hard work paid off Thursday afternoon with a fantastic Variety Show. We hope you came and enjoyed the show-what a way to end the summer! All week campers journeyed to the gym to push themselves to the limit in our Epic Acrobat Training. Instead of the gym, campers found ropes hanging to get them across the big top. They found a pin field they had to navigate through showing off their agility. There was rolling log they had to control to master the art of balance. And there was so much more – from scooters and buddy walkers to balance beams and trampolines; it was a challenging and exciting adventure for all! The Pioneers ventured to the Discovery Museum in Acton, MA. They had a blast exploring the treehouse outside, and enjoying all the interactive exhibits inside. Campers loved trying out the giant air machine that sent scarves and balls flying around the room. Everyone experimented in the color room, created interactive sand projects, and splashed in the water tubs. They then made their way outside to play in the interactive treehouse. Campers created beautiful forts to play in and took fast/slow turns on the giant swing. It was a wonderful trip for Pioneers to close out their summer! This week the Ramblers went to a Lincoln Summer Camp favorite, CoCo Key Water Resort! Campers got to swim, slide, and play their way through the amazing water park. Many of the Ramblers spent their time winding through the lazy river, while others faced their fears by going down the 4 2-story water slides! Others challenged themselves on the water obstacle course, while others played around in the massive water structure, full of sprinklers, slides, and surprise waterfalls! The Ramblers had a blast splashing around with their friends! The Crusaders set out on a quest to Boda Borg this week where they found themselves swinging through the jungle, crawling through a battlefield, making their way through a haunted house, and answering quiz show questions among other adventures. It was an awesome experience testing mind, body, and teamwork. Ask your camper how many missions they completed and which one was their favorite! The Trailblazers began their week at Water Country where they dove down slides, caught waves in the wave pool, held on in the whirpool, and rode rafts all about. It was a great way to cool off in this week’s heat. This trip was a real test of time management skills, as campers needed to figure out when to head back for check ins without the having their devices on them in the water. We are happy to report that almost every group made it back on time for each check in, with a few coming in just a few minutes late. It is wonderful to watch campers grow in their responsibility and take ownership for their actions! After Water Country, we headed back to camp to prepare for our camp overnight. Campers pitched their tents and then headed to the pool, while the counselors prepared a dinner of hot dogs, hamburgers, and haddock that the campers caught on their deep sea fishing trip. After dinner, just as we were preparing to shower up and head into the evening activities, a storm rolled in with lightning lighting up the sky, closing the pool (where we shower) and knocking power out of the school buildings (where we were set to have our America Ninja Warrior Competitions) so it was quickly on to plan B.
Campers headed down to our air conditioned Studio to watch Shrek, while counselors made them real movie theater popcorn and hurried up to their tents to retrieve all of their belongings before the storms rolled in. Meanwhile, the forecast kept getting worse and so another group of counselors headed up to the gym to retrieve mats for indoor sleeping. We were all a little bummed out we could not play our annual game of Flashlight Tag but we moved the fun indoors and had a good old fashioned slumber party instead. The next morning the weather had cleared so it was bagel breakfast as planned before breaking down our tents and heading to Brownstone Park. Brownstone Adventure Park in Portland, CT is an old rock quarry that has been transformed into an epic thrill spot, with 14 ziplines that sent campers from the tops of cliffs to the water down below, cliff dives that had campers facing their fears, water slides, giant inflatables, rock climbing, wake boarding and so much more. It was an awesome day with so much do. Check out some pictures below. The Trailblazers also had a blast on campus this week as the Ice Cream League Competition heated up. In addition to racking up points in their specials, they competed in a host of events for points from Doctor Dodgeball, to Gaga Ball, to musical Encore! But this week’s biggest competition was America Ninja Warrior. Rescheduled after the rain-out, campers took part in the ultimate challenge course climbing, crawling, and swinging their ways to the fastest times. Congrats to Chris and Kyle who tied for first place with an amazing time of 3 minutes 6 seconds, and congrats to third place finisher Thomas! Then on Friday it was time for our last trip of the season and the conclusion of Ice Cream League at Boda Borg. At Bodo Borg they found themselves swinging through the jungle, breaking out of prison, on a gameshow, crawling through a battlefield, and making their way through a haunted house, among other adventures. It was an awesome experience testing mind, body, and teamwork and for each mission they completed their earned a stamp and all important Ice Cream League Points. Low Fat Vanilla went into the day with a good lead but Cookie Dough charged back, completing 17 missions as a group, to take the final ice cream of the summer. This week’s dress up theme was Kids’ Choice! Kids were able to choose whatever they wanted to dress as! We were treated to a wide array of costumes, from princesses, to clowns, to Duct Tape Man! Check out some pictures below of our costume contest nominees, and our winners Adam, who dressed as his counselor Jennie, and Amayah and Saraiyah’s twin gumball machines! For an extra special last week of camp, campers and counselors hit the stage for our annual Camp Show. This week was jammed packed with tons of creation and practice sessions. After lunch on Thursday, we were ready to hit the stage. Group after group ran up the stage steps to show off all their hard work. We enjoyed having all of the family and friends join us to watch the campers’ stellar performances! Thank you all for a remarkable camp season. Again, we loved getting to know all your campers and had so much fun. We hope this summer was full of memories for them that will last a lifetime. If you are missing something from this camp season our Lost and Found items will remain at the Parks and Recreation office and the Codman Pool until the end of the month, after which all unclaimed items will be donated to charity. Finally, be on the lookout for a Feedback Survey about camp this year. We want to hear from you about what your campers loved, and what we might improve for next year! Welcome New Families and Welcome Back Returners! For our final week of camp we are headed under the big top and to the circus for a week of high flying fun that will be capped off by our Camp Show on Thursday. All campers should come to camp prepared to swim! This means wearing or packing a bathing suit and towel. We will spend a great deal of time outdoors, so sunscreen is a must! Please have your camper come to camp with sunscreen already applied and more sunscreen packed in their backpack for reapplication. Remember, if you would like counselors to be able to assist your camper, you will have needed to indicate that on campdoc.com or filled out the physical form, available here. Campers need to be able to carry their belongings throughout the day. Please keep this in mind when selecting and packing their bag. There is time for a morning snack and lunch at camp. These are NOT provided. Please pack your child with nonperishable items; we eat a picnic-style lunch. Campers in grades K-5 will be provided with a camp t-shirt before Friday’s field trips. Campers should arrive at camp with a full water bottle that can be refilled throughout the day. We want to remind you that we have two options for arrival and dismissal. You may enter the drop off/pick up line and staff will help your child in and out of the car. If you need to get out of your vehicle for any reason including getting bags out of your car, helping a child get buckled into a car seat, or just to give your little one an extra hug goodbye, we ask that you please park in the lot next to the gym and walk your camper over. This means that many of our Pioneer Parents will probably need to park to ensure their campers can get strapped in and out of the car. This helps us keep our pickup and drop off line moving and prevents dangerous maneuvers from taking place in the line. A full description of our arrival and dismissal procedures can be read in the parent handbook. Do note that Trailblazer Camp has a different drop off and pick up location. Wednesday is Kid’s Choice Dress Up Day! Campers can choose to come in as anything they want as the circus is a place for everyone! They can be anything from a stalk of broccoli to a famous celebrity, the sky is the limit so get creative. Campers will also get to choose what their counselors and specialists dress up as. For a full calendar of events visit the home page. Wednesday and Thursday are also Pizza Days! Forget the hassle of packing a lunch and grab a slice from us. Pizza will be on sale for $2 for 1 slice and $3 for 2 slices. This Thursday is the Camp Show! Campers will be practicing and preparing all week for our annual extravaganza. The show will take place in the Brooks Auditorium. Doors open at 1:15pm. We hope that you can join us. Also be on the lookout for flyers that will come home with your camper indicating how they might dress for the show. Make sure you check the blog frequently throughout the summer for updates on our field trips, special events, and all the fun we are having at camp! You can follow the blog by entering your email on the sidebar and clicking “follow” – it is a great way to stay informed! 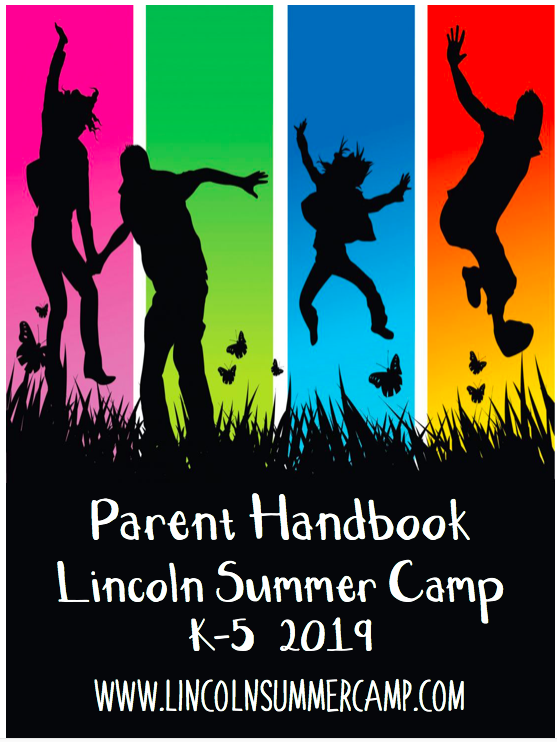 Additional information about camp can be found in the Parent Handbook for K-5 , Parent Handbook 6-8, and on the Frequently Asked Questions page. We encourage you to review these resources and feel free to contact us if you have any additional questions. If your camper is going on this trip click here to fill out a waiver. It must be completed online before we go. We are having a sandwiches or salads provided by Boda Borg for lunch. Your camper will get to place an order on Monday for either: Turkey, Ham or a Garden Salad. If your camper has allergy or religious concerns please contact the directors at directors@lincolnsummercamp.com so we can work to accommodate their needs. Pick Up will be at normal dismissal time: 3:00pm – The Trailblazer group going on this trip will be staying longer and getting back later. Closed toed shoes must be worn on this trip. Please make sure your camper is wearing his or her bathing suit and packs a towel. He or she might also like to bring a dry set of clothes to change into before the bus trip back to camp. Camp Overnight- When campers return to camp the fun is just beginning. They will learn how to pitch their own tents, start their own fires, before having a BBQ dinner, an American Ninja Warrior Competition, Flashlight Tag across the campus, and of course S’mores and stories by the campfire. 2 Swimsuits – campers should wear a swimsuit on Day 1 for the trip to Water Country and pack a second suit for the Day 2 trip to Brownstone Park. The approximate itinerary below includes notes about the foods served. Please read them and let us know if there is any dietary or allergy issue we need to be aware of for your camper. 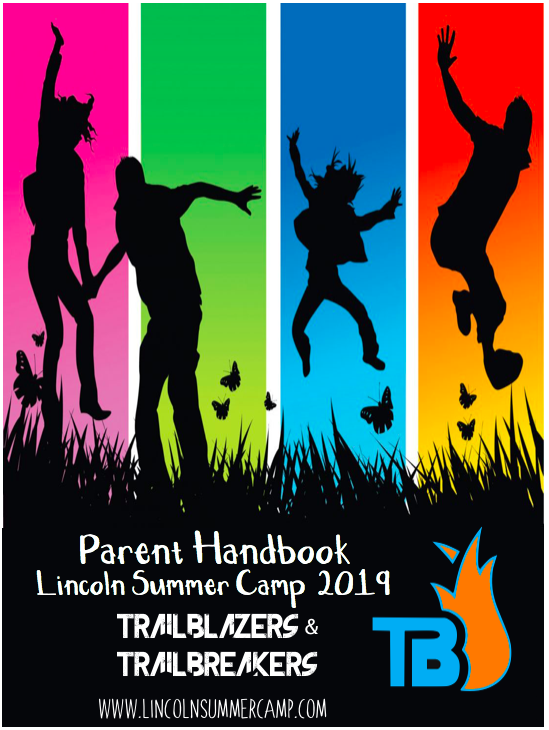 Please also not the following policy from our Parent Handbook : On our two camp overnights that take place on the Ballfield Road campus, campers must either be picked up when we return from that day’s trip, or must stay for the duration of the overnight. If a camper will be picked up when we return from the trip, please notify Trailblazers camp staff at the beginning of the week so that we may plan appropriately. This ensures that all campers are safe and accounted for. Please note the packing list above to make sure your camper has what he or she needs for this trip. We are having a sandwiches or salads provided by Boda Borg for lunch. Your camper will get to place an order on Monday for either, Turkey, Ham or a Garden Salad. If your camper has allergy or religious concerns please contact the directors at directors@lincolnsummercamp.com so we can work to accommodate their needs. Week 5 was Out of this World! Campers had an awesome experience this week as we blasted off to outer space! Here’s how we orbited around camp. It was another great week in STEM! All groups made Marble Roller Coasters using pieces of pipe insulation, toilet paper rolls, cardboard, and of course lots of tape. Groups had many creative ideas, and roller coasters included loops, bridges, tunnels, and jumps! Groups were able to design and redesign until their track worked, see videos below! Ramblers, Crusaders, and Trailblazers also made slime this week, which was a little too messy to get pictures of. Our slime was made by mixing Elmer’s glue with liquid starch and mixing until slime formed. Campers were also able to add in their favorite colors! Pioneers played with Tangrams, which are colorful geometric blocks. Campers explored different shapes and geometric patterns while playing with the blocks. There were some very creative shapes and designs! This week in Sports & Games, Camp blasted off to outer space! Pioneers and Ramblers played a flag tag variation known as Aliens vs. Predators. They also played Steal the Moonrocks, a capture-the-flag-esque game with astronauts protecting their rocks from the aliens. Crusaders played Glow-in-the-dark hockey with glow bracelets and pillow polo sticks. They also played Spaceball, a variation of the classic game of kickball. Next week, camp concludes by going under the big top, so come prepared for acrobat training! This week we traveled to outer space during Arts&Crafts! Pioneers, ramblers, and crusaders made astronaut I.D. badges with stamps, stickers, and card stock. We also made alien spaceships out of paper plates. For trailblazers choice we made a splatter paint banner to be hung up in the trailblazers treehouse. Next week Camp Goes Under the Big Top! Music and Drama blasted off during our outer space week! Pioneers filled the room with aliens, robots, and worked to find the alien leader. Ramblers also played an acting game called Gibberish where they had to make-up lines for the characters in a scene. They also worked to save camp from an alien invasion using only 3 everyday objects. All campers honed their acting skills in a mirror activity as they taught aliens how to get ready in the morning, enjoy a day at camp, going on a camp field trip, and-of course- dance. Crusaders created time lapse video skits where they taught an alien a new skill of their choice. Crusader’s choice this week also participated in a rousing round of the Whisper Challenge. All campers did out of this world shadow dancing this week! Trailblazers had a blast in a musical goose chase at camp. They had the challenge of wearing ridiculous costumes, acting out Disney scenes, performing dance moves, acting out classic games/sports, and singing songs. Check out some samples below! Next week will be filled with musical acts in our annual Variety Show! This week in archery we were all stars at games for camp blasts off to outer space week! The first activity we did was there were 8 planets on each of the 8 targets. The targets were arranged closer and farther depending on their distance away from the sun. Each arrow was a space ship, and campers tried to send as many space ships they could to each planet! The next game we played was half of the campers were aliens and half were astronauts (which was indicated by a green or silver star sticker). They competed to see which team could get their spaceship (arrow) closest to the center of their planet (target). We had so much fun and can’t wait to go under the big top next week! This week in story we blasted off into two great books. The first book we read was “We’re all Wonders” by R.J Palacio. We then drew pictures of things that made us wonders – what made us unique and special. Then we shared with the rest of the group. The second story we read was “The Magic School Bus Lost In The Solar System” by Jonna Cole. For our activity we made planets out of model magic. We had a great week and we are so excited to preform in next weeks camp goes under the big top! This week at Epic Adventures campers had fun both outside and in! On Monday campers had a chance to zoom down a giant slip n slide and chase their counselors with water balloons. On Tuesday, campers had an enormous water battle where they tried to dissolve their counselors Alka-Seltzer necklaces. Nobody was safe from the splash of water blasters! Finally on Wednesday campers moved inside for our camp carnival. Kids had a chance to earn tickets and win prizes at games like World of Sports, Carnival Midway, and the Moonshot. We were blown out of this world by all the outer space costumes this week. It was a difficult decision for a costume winner with homemade space robots, Rey from Star Wars, NASA astronauts,, a duo planet team holding the rings of Saturn, and a few creative aliens. Ultimately Amelia’s rendition of Rey won the prize. We can’t wait to see the unique costumes campers choose to wear for Kid’s Choice next week! On Thursday, Lincoln Summer Camp held its final Lincoln Live event of the summer. The campers performed a wide a variety of acts such as dances, songs, ballet, gymnastics, and one camper even executed some martial arts to chop up wood! Our very own counselors performed an amazing rendition of ‘Cooler Than Me’ to end the summer of Lincoln Live for 2018. Our Pioneers set out to Jump On In. Campers tackled American Ninja Warrior style obstacles like the ring climb, zip line swing, the warped wall and more! Campers also enjoyed classic Jump On In favorites like the giant inflatable slides, the bouncy obstacle course, and trampoline basketball. They had a great time! Ramblers traveled on a fun-filled day to Merrimack Valley Pavillon in Tewksbury, MA. Campers conquered the vines ropes course outside and played a rousing 18 holes of mini-golf. They headed inside to play a full round of Lazer-tag in the Jungle with stealth code names and then playing riding games, skee-ball, and classic games with tokens at the arcade. They loved cooling down with an ice cream of their choice and cashing in their tickets for prizes at the end of the day. The Crusaders jumped on the bus to journey up to New Hampshire to have a great day at a camp favorite – Canobie Lake Park. After a quick snack, campers and counselors split up to explore the park. Throughout the day campers tested their limits on crazy coasters like the Yankee Cannonball, Untamed, and the Corkscrew. They cooled down on water rides like the Log Flume and the Boston Tea Party. Some tried their luck at the arcade, while others still braved the Haunted Mine. It was a day filled with flips, spins, ups-downs-and-round-and-rounds – all in all, a great day! This week began with a full day of fun on campus. In addition to going to their choice of specials the Trailblazers also had time to compete for Ice Cream League points in a crazy game of 4 Way Guard the Pin. It was an intense competition. Later instead of competing against each other, all campers were challenged to work together to “Cross the Pit”, where they had to get a rope, swing across a mat pit and land on the other side without touching the ground. If they touched the whole group had to start again. Round 1 was a breeze for the campers but in round two when the pit grew larger they had to push, pull, catch, save, and cheer each other on as every camper crossed the pit and successfully landed on the other side without knocking any other campers off. Then on Tuesday it was off to OSG paintball for a day of competition on the fields. We hit our favorites like Western Town, LZ, and Pirate ship, and tried out some new fields like the Halo Woods and Castle. It was quite the day! Check out some pictures below. Then it was back on campus Wednesday to prepare for their overnight trip to Zoar Outdoor. During the day they had a chance to make their own muffins that they would later eat for breakfast on Friday. On Thursday we packed up all our things and headed to Zoar Outdoor. It was an early morning, but we arrived on time for the dam release and had an awesome day on the water. Sorry there are no pictures yet as we don’t bring camera in the rafts! Then we headed back to camp for a night of fun that began with our annual horseshoe tournament. Unfortunately some rains moved in an caused us to have to change our dinner plans from hot dogs on the open fire to pizza. But it was a great meal nevertheless. When we got back to camp the rains subsided and we got to finish our horseshoe tournament, congrats to Kyle and Javi for their win, and got to play games before s’mores and stories by campfire. Then we went to bed in our cabin tents before breakfast the next morning. Then it was off to Zip lining. Finally, after a 3 hour tour of the trees it was time to head home. We can’t wait for next week! 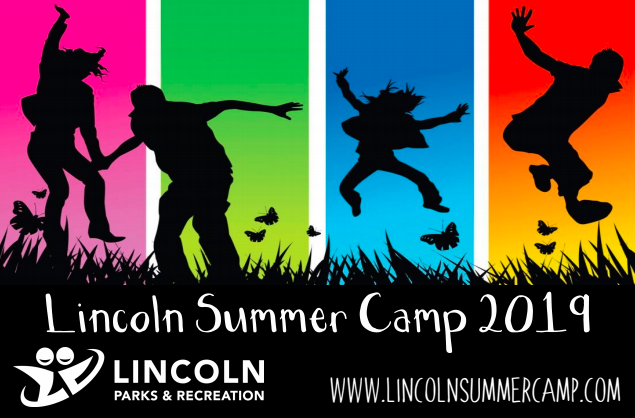 We have a far out week of fun planned at Lincoln Summer Camp as we blast off to Outer Space this week. Thursday is Outer Space Dress Up Day! Will you be an astronaut, an alien, or even a jedi? Let your imagination expand like the universe as you dress up for a space adventure. We can’t wait to see what you come up with! For a full calendar of events visit the home page. Please pack your child a disposable lunch. Each camper needs a waiver for the field trip you can fill it out here or look for one to come home with your camper on Monday. Each camper must wear socks to participate in all the fun! On this trip campers will travel to a Merrimack Valley Pavilion in Tewksbury, MA for a day filled with Laser Tag, Mini Golf, and a Vines Ropes Course. Campers will also receive tokens for time in the arcade! And last but not least each camper will get a Kiddie Ice Cream! For this trip campers will travel to Canobie Lake Park in Salem, New Hampshire, New England’s premier family amusement park with over 85 rides, games, live shows and attractions. They will spend their day flying down rides, like Boston Tea Party, Untamed, and Starblaster and splashing around in Castaway Island. To learn more about the attractions check out http://www.canobie.com/rides.php Each camper will be placed in a group with other campers who like to do the same types of rides and activities. A counselor will take each group around for the day. No extra money is required but if your camper would like to play games or purchase snacks you may send it. We will arrive back at camp at 5:00 pm for pick up. Tuesday, July 31st Campers will travel to OSG Paintball in Barnstead, NH to play some paintball. OSG is one of the first dedicated paintball fields in the country and continues to be among the best outdoor fields. OSG Paintball Field enforces strict regulations regarding conduct, safety equipment and the power of paint-guns to ensure a safe and fun visit for all! If your camper is going on this trip a waiver must be completed online. Fill it out here. Even if you filled out this waiver for a previous trip it is better to fill it out again as it links directly to our reservation and thus does not need to be looked up in the system speeding up your child’s check in. Please have your camper pack a disposable lunch. Campers should wear any dark clothing . Long sleeve shirts and pants are the best options. They will get dirty. Old and comfortable will be their best bet. Chest protectors will be available to all who want them, if you want an extra layer of protection! Closed toed shoes must be worn on this trip, again an old pair of sneakers works best. Thursday, August 2nd and Friday, August 3rd – On this trip campers experience the Berkshire hills from two perspectives. The Zoar Gap and Zipline Canopy Tour combines two amazing activities into the perfect getaway. Day 1: Zoar Gap Rafting – This full-day rafting trip starts at 10:30am, and takes campers down a ten-mile stretch of class II and III whitewater. We stop for a picnic-style lunch halfway down the river. Overnight: Cabin Tent Lodging – Campers will camp out in comfortable Cabin Tents. Each raised platform has a large canvas tent set up on it, with four cots inside, and a small gas grill for simple meals. Day 2: Zip Line Canopy Tour – Campers will start their morning with a three-hour tour through the trees. The trip includes 11 zips, two sky bridges, and 3 rappels. Please note that campers must arrive at camp between 7:00am and 7:15am on Thursday in order to make the bus. The dam that releases the water to create the rapids opens at 10:30 sharp so we must be there and ready to go on time. Below is a packing list and detailed itinerary. Paper copies will come home on Monday along with the 2 waivers that must be signed. Please keep your packing to one bag and one backpack that your camper can carry independently. Also note there is no need for campers to bring extra money for this trip. Everything they will need is provided. Campers are allowed to bring their cell phones – however they will be collected by staff during the night so that we can ensure a good night’s sleep and that the phones are secure. There is no power, so it is likely, depending on use, that your camper may run out of battery. We will do our best to keep you up to date using the Remind App. On Thursday there is a complimentary picnic-style lunch break halfway through the water rafting trip provided by ZOAR Outdoor (because it would be impossible for campers to bring lunch with them). The lunch includes cold cuts, rolls, vegetables and condiments, chips and salsa, drinks, and desserts. On Thursday night we will be roasting hot dogs over an open fire for dinner. Chips, salads and drinks will be served as well. For dessert we will roast marshmallows and make s’mores. If your camper does not like hot dogs or has a dietary restriction, you can send an alternative meal, just note we do not have access to refrigeration or cooking devices. On Friday morning we will have a breakfast of bagels, muffins (that the campers will be baking at camp) and fruit. For lunch on Friday we will have sandwiches that campers will prepare before we leave on Thursday. These will include cold cuts, veggies and condiments, as well as a side of chips or crackers.